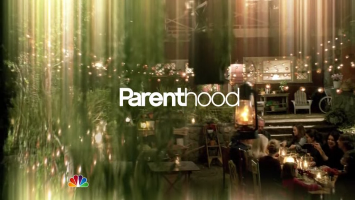 Parenthood is a drama that aired on NBC. It was initially scheduled to begin in September 2009, but the premiere was delayed, intially because of a pending medical examination for original show star Maura Tierney, and then after NBC announced that Tierney would be unable to be on the show due to her treatment for breast cancer. Lauren Graham was subsequently cast to replace Tierney. It is the second NBC series based on the 1989 movie of the same name. Due to international rights restrictions held by CBS Records, the original theme song Forever Young by Bob Dylan has been substituted outside of North America by Lucy Schwartz's When We Were Young. This page was last modified on 10 January 2017, at 08:11.